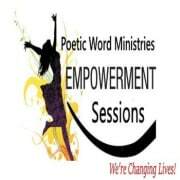 Poetic Word Ministries Inc. is hosting a variety of empowerment sessions that empowers women and young girls. If you have a small church group, organization, or womens club etc. we would love for you to join our team! We need inspired individuals to help set-up our empowerment sessions, and volunteer for our various onsite building projects. Your creative skills will help us inspire others to empower their dreams. Thanking you in advance for your considerations.